Name of Allah is seen on the sky by the clouds is the proof of Islam as the only and one true religion of peace and happiness. This is the way to non-Muslims that Allah shows in different forms so that they can take Islam as their only religion, and also make Muslim powerful to their "Emaan" the belief of Allah as the only lord of us and Hazrat Muhammad (Sallahu..) is his last prophet and rasul sent to this world. 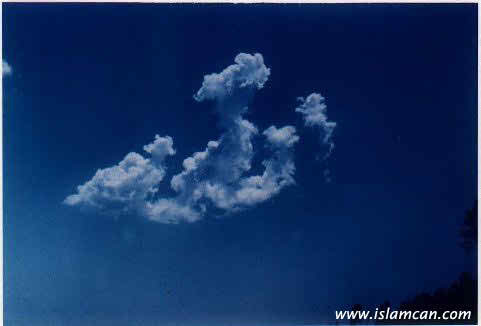 0 Response to "Allah's Name Written by the Clouds"